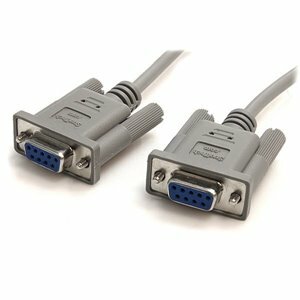 Connect a serial printer to a 9-pin serial port, or transfer files from PC to PC via serial connection. The SCNM9FF 10ft Cross Wired Serial/Null Modem Cable features two DB9 female connectors. Designed to provide a reliable, long-lasting connection.